Fox announced that a sneak peek of the upcoming 'Batman V Superman: Dawn of Justice' film starring Henry Cavill and Ben Affleck will appear during Monday night's 'Gotham' fall finale. It's been reported that this will be the last new promo for the film this year with new footage. The network released two new videos pertaining to BvS, one a brief promo announcing the exclusive preview on November 30 and the other has 'Gotham' cast members picking sides in the epic showdown that hits theaters on March 25, 2016. Catch an exclusive sneak peek of "Batman Vs Superman" in the Fall Finale of GOTHAM this MON at 8/7c on FOX! 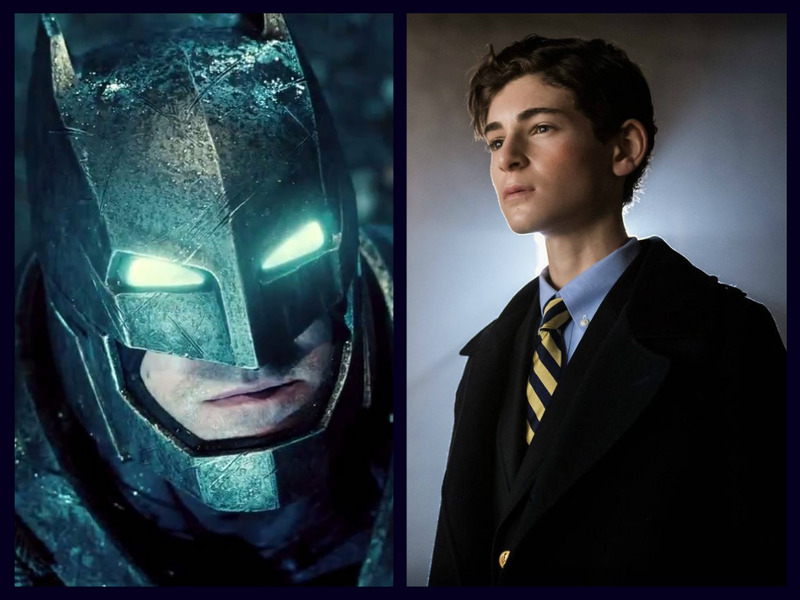 The cast of GOTHAM has some strong opinions in the great BATMAN V. SUPERMAN debate! See whose side they’re on, and tune in to the GOTHAM fall finale on Monday, Nov. 30 for an exclusive sneak at the new movie.